Heathkit’s New RF Meter: Who is it for? Electronic hackers and ham radio operators of a certain age have a soft spot for the Heathkit brand. Maybe that’s why we had a rush of nostalgia when we saw the Heathkit site had a new product. You may recall that Heathkit had gone the way of the dodo until a few years ago when the brand started to resurface. Their latest kit is a precision RF meter which is available on preorder. Before there were websites and hacker spaces and all the modern push to “do it yourself,” Heathkit was teaching people electronics through kit building. Sure, they were known for ham radio and test equipment, but many people built stereos (hi-fi), TVs, radio control gear, computers, and even robots. All with manuals that are hard to imagine if you haven’t seen one. They were world-class. The Heathkit product line puzzles us. The electronic kit market isn’t that big compared to the market for PCs or bicycles. But even so, the number of people interested in measuring forward and reverse RF power is probably quite low. Then factor out everyone who doesn’t want all the precision “laboratory grade” features in this meter. The final blow: the kit isn’t available yet and costs $575 on preorder. If the preliminary specs are accurate, it isn’t a bad meter. The accuracy is 125 PPM between 1.6 MHz and 54 MHz at power ranges of 50 mW to 2 kW. There’s a frequency counter included, and Heathkit claims to have a patent pending on some aspect of the device’s operation. We’ll admit, it is hard to compete selling Arduino boards and the other simple things you might buy on eBay for a few dollars. The new Heathkit seems to be going for the boutique market with–dare we say–artisanal high-end products at a fairly high cost. For example, take their super-accurate clock. For $100, it seems hard to justify buying it since it is nothing more than an Atmel CPU with a half-second a day of drift. Want a TRF AM radio? That’s $150. It looks good, but realistically, that’s a lot for a simple AM radio kit. You can see from their site index they have great plans, but many of those pages are blank. It seems to us that the area they could differentiate would be in educational manuals — maybe offering a radio course, like the old EDUKIT courses — or things with broader appeal that are hard to knock off. Perhaps that’s robots or quadcopters with a unique design. Maybe a Heathkit cell phone kit or a chess-playing robot arm would draw a crowd. We don’t know. Don’t get us wrong. We want them to succeed. Heathkit was instrumental in forming many electronic hobbyists, technicians, and engineers. We just aren’t sure the world is clamoring for a $150 AM radio or an RF watt meter for nearly the price of a low-end ham radio transceiver. We looked at the Heathkit clock kit last year. We also looked at the AM radio kit in its solderless version (it has since been released in a solder kit). Interesting that AM is still a thing. Land of sports and talk. There was a plan a few years back to convert the AM spectrum for use with cellular communication, but of course the talk radio crowd painted it as censorship and “they’re trying to take me off the air” etc. I guess the fact that they offered them a free FM radio license wasn’t good enough, and I heard that they were willing to defray the cost of equipment too. Don’t get me wrong, there is some merit to the fact that AM travels further, reaching more rural areas that FM would not. I’m convinced that converting the spectrum to cellular use would be of greater benefit to more people, probably even those same people in rural areas who complain about crappy cell phone service. Maybe now that they have their guy in office we can revisit the plan. Seems a lot of money for a kit produced by some guy that bought the Heathkit trademark from the bankruptcy sale. Typical cash grab nostalgia time, They’re doing it with everything in the last few years. That, that I’d go for. are u a hacker or a end user ? Please READ AND LEARN. We want you back. Right now you are reading the wrong books. You will not make it, on the road you are on now. Remember what site this is. We are hackers of the world now. We know a lot. We are only trying to help……..
First, if you want Heathkit to read something, why on Earth are you posting it here? Go to their web site and use their “Contact” form. That’s why they have it. Or at the very least, post it on their Facebook page. Second, your advice is very un-helpful. “You have to do it right”? Gosh, why didn’t they think of that?! “You will not make it”? Gee, thanks for the input. “Reading the wrong books”? Pray tell, what books are they reading? You have no clue. And you offer no recommendations of a book they should read. If you have constructive advice, send it to them. If you have only unhelpful criticism (and I say this as someone who runs a website and gets content-less, vacuous criticism from time to time) it’s really annoying. Yeah, if they even remotely care about their products, they will check out how people review it outside their domain. If they don’t care how their product is received, they deserve to fail. Right. Every day they should scour the internet looking for people who have advice for them. How else will they get valuable tidbits like “do it right”, “you’re going to fail”, and “you are reading the wrong books”? Look, Heathkit will probably hear about this HaD article and they will probably read the comments. But that’s not the point. Perry says he cares about HK. He says he has something he wants to tell them. If that’s true, he should tell THEM. Posting in a thread on a third party’s site is not the way to send a message to someone. And anyone who thinks it’s a good way, or even an adequate way, probably doesn’t have valuable business advice to offer. I am having a lot of trouble posting this it will not show up..
Perry, What is wrong with you? 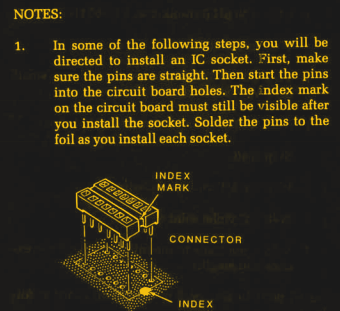 As I said, I’ve designed more complex circuits, but I’ve often skimped on mechanical design. This kit has inspired me to put more thought into that aspect of my making. Yes, $100 is a lot for a digital clock. But you’re not buying a digital clock; you’re buying a kit-building activity. +1 I think you hit it. Even in the old Heathkit’s glory days, they were not inexpensive when viewed as buying a final product. The thing they sell is the kit building experience. Yes! It’s not just the BOM cost! Actually, given the specifications and feature set, this thing is a bargain. We’ve gotten used to cheap as crap toy SWR meters that are as unreliable as they are cheap. I would love to have one of these new Heathkit SWR meters on my bench. GR-81 Regenerative Receiver (great radio, where I cut my teeth). SB-303 Receiver (mated it with the HW-16/HG-10B via a tube AMECO QSK T/R switch). HW-32 20m Monoband Transceiver with HP-23x AC supply and HP-13x 12V mobile supply. Wow, Drone, you’re really spewing the hate. How is it that you have so much emotion wrapped up in this? 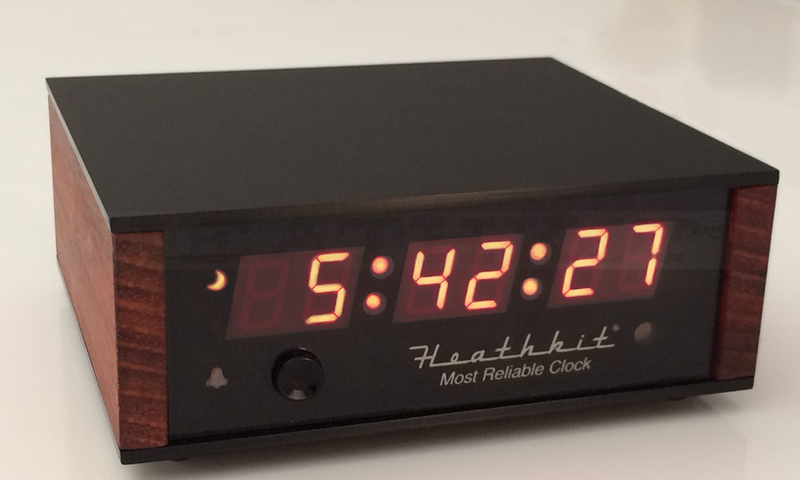 I built Heathkits back in the 70s and 80s, and I recently built the new Heathkit’s clock. I never did ham equipment, but with the things I did build, buying Heathkit was more expensive than buying mass-produced. HK has ALWAYS been expensive. In the 1970s, a clock kit without WWV was $60. Today, 40 years later, the comparable clock kit is $100. Seems reasonable to me. You’re not just buying a gadget, you’re buying a kit-building activity. As for your comment elsewhere that “anyone can fairly easily do with a few key parts from the likes of SiLabs or ADI”: you’re wrong. I built the new HK’s clock. Yeah, anyone can do a schematic and PCB of a clock. But the Heathkit had a well-thought out and executed mechanical design – creative too – excellent printed instructions, and an attractive end result. Not everyone can do that, and even fewer can package it up as a kit that other people, with lesser skills, can assemble. So yeah, you might be able to make an RF meter, and it might be cheaper than Heathkit’s. But try making it into a kit before you start throwing stones. And one more thing to the “New” Heathkit people: I KNOW what you’re doing with this outrageously over-priced power/SWR-meter thing. I’m a degreed EE working in RF/DSP. What you’re doing anyone can fairly easily do with a few key parts from the likes of SiLabs or ADI coupled with a reasonably capable micro-controller (e.g., ARM Cortex Mx series with DSP). You can charge whatever you want for your product, it’s a free market. But KNOW, we know what you’re doing. And STOP trying to use the U.S. PATENT system as a “tool” to claim you’re doing something amazingly new! We ALL know the USPTO is a broken and corrupt big-government mess of an institution. I’m just waiting for Apple or Google (or Heathkit) to patent a Ham-Sandwich – and get away with it! It totally misses the point. Under 50Mhz all you need is something like 5% accuracy on SWR. Its more useful to know the size of the reactive component. A SARK 100 would be a much more usefull tool.